Ask your representative to give America's wildlife a "lift" by co-sponsoring the Limiting Inhumane Federal Trapping (LIFT) Act! Representative Earl Blumenauer (D-OR) has introduced a bill in the U.S. Congress that would ban almost all trapping on federal public lands and Wilderness areas – including trapping by public officials and their agents. Specifically, the Limiting Inhumane Federal Trapping (LIFT) Act (H.R. 1727) would restrict the use of indiscriminate body-gripping traps, which are known to cause severe suffering to trapped animals, on America’s national forests, national wildlife refuges, and public lands administered by the Bureau of Land Management. Many of these wild animals — often referred to as “furbearers" — are relatively rare but add immensely to the ecological richness of our nation’s Wildernesses and other public lands. Wilderness is defined in the law as an area “where the earth and its community of life are untrammeled by man…retaining its primeval character ad influence [and] managed so as to preserve its natural conditions.” Protecting these critters is essential to meeting the law’s lofty goals. Another big problem with allowing trapping in Wilderness is that it's almost always done for commercial purposes, which is prohibited in Wilderness. H.R. 1727 covers three types of body-gripping traps: Conibear traps that are designed to break an animal's spinal column, strangulation snares that operate by suffocation, and leghold traps that clamp down on animals' limbs with metal jaws and can lead to fractures, severed ligaments, or even amputation. The bill would also prohibit personnel from the U.S. Department of Agriculture (USDA) and the U.S. Department of Interior (DOI) from using these brutal traps, including personnel from the USDA’s “Wildlife Services.” Incredibly, just last year, Wildlife Services killed over three million animals, including 385 wolves, 284 mountain lions, 480 black bears, 68,905 coyotes, 731 bobcats and 3,437 foxes. Please ACT NOW to stand up for America's wildlife, our public lands and public safety! We just need a few pieces of information to connect you with representative. 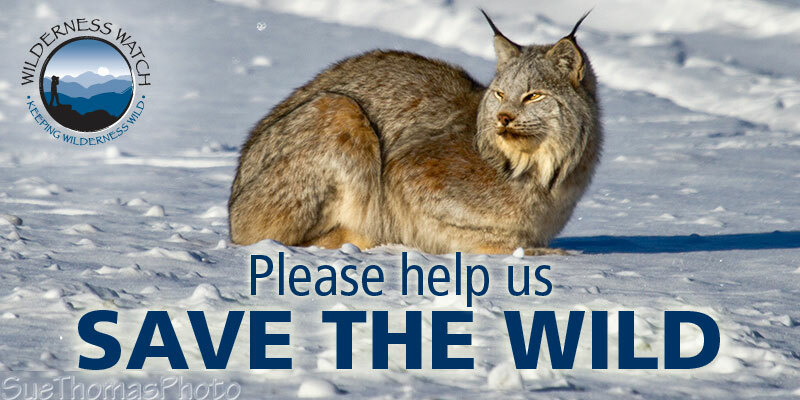 Subject: Help Give Wildlife On America's Public Lands a "LIFT"
Please co-sponsor H.R. 1727, the Limiting Inhumane Federal Trapping (LIFT) Act. H.R. 1727 would restrict the use of indiscriminate body-gripping traps – which are known to cause severe suffering to trapped animals – on America’s public lands and Wilderness areas administered by the U.S. Department of Agriculture (USDA) and the U.S. Department of Interior (DOI). This includes National Forests, Bureau of Land Management land and National Wildlife Refuges. The bill would also prohibit personnel from the USDA and DOI from using these brutal traps, including personnel from the USDA’s “Wildlife Services.” Incredibly, in just 2015, Wildlife Services killed over 3 million animals, including 385 wolves, 284 mountain lions, 480 black bears, 68,905 coyotes, 731 bobcats and 3,437 foxes. I urge you to stand up for America's wildlife, our public lands and public safety by co-sponsoring H.R. 1727, the Limiting Inhumane Federal Trapping (LIFT) Act. Please give #wildlife on America's #publiclands a 'LIFT' and co-sponsor the Limiting Inhumane Federal Trapping (LIFT) Act! Visit our website at www.WildernessWatch.org to see what other actions you can take to protect and defend America's Wilderness legacy! Thank you for taking action and asking your representative to give America's wildlife a "lift" by co-sponsoring the Limiting Inhumane Federal Trapping (LIFT) Act! Want to do even more for Wilderness, wildlife and America's public lands legacy? Donate now to support Wilderness Watch's work to protect and defend America's Wilderness heritage. Make sure to follow us on Twitter and like our Facebook page. You can also help spread the word on social media by clicking on the buttons below.